We are already approaching Christmas rapidly and today is the first advent. Of course Christmas time means present time as well. I have decided to do some Christmas raffles every Sunday in December with personal wardrobe and grooming faves. And why not start with a good one. This first week you can win a Calvin Klein watch of your own choice from the brands webshop. Stop by the Calvin Klein webshop and pick a favourite style. Post a comment below with the watch that you wish for as well as your name and email. Stay tuned – The winner will be announced on the blog on Sunday the 6th. Fordi min søde kæreste fortjener et flot nyt ur! Glædelig jul!! Jeg ville meget gerne ønske mig et helt klassisk Calvin Klein Time. Jeg ville helt klar vælge nedenstående Calvin Klein City ur. Tidsløst og elegant. Håber eksamen ruller derud af. Det kunne være super lækkert at rende rundt med her til jul! 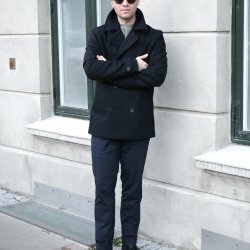 CALVIN KLEIN ALLIANCE ville få det så godt på mit håndled. CALVIN KLEIN INFINITE – It’ll make me look like the true Nordic Gangster of innermost fantasies.